It’s lit! 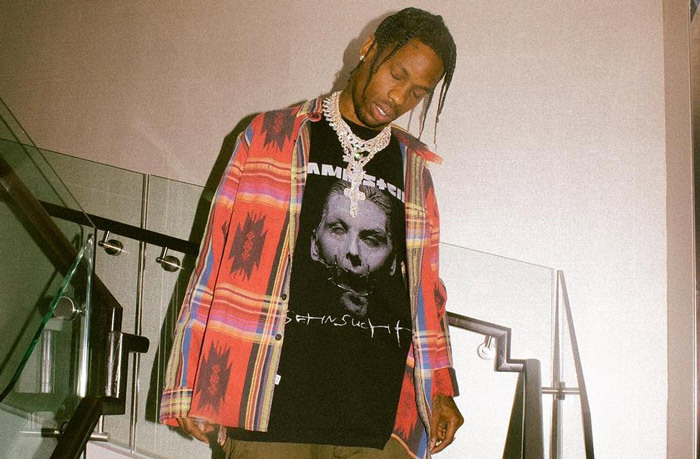 Travis Scott and Saint Laurent have teamed up for a 12-song playlist, which was released as a vinyl project only at Colette in Paris last year. Now, the highly-sought-after set is available to the world Vogue on Apple Music. Late last year, La Flame — who curated the effort with YSL’s creative director Anthony Vaccarello — turned up at the popular boutique in the City Lights, where 500 lucky fans were able to cop the vinyl. La Flame’s playlist features popular songs from Kanye West (“Pinocchio Story”), Kid Cudi (“Solo Dolo”), Frank Ocean (“Nights”), 21 Savage (“Bank Account”), Young Thug (“Slime Sh*t”), Cardi B (“Bodak Yellow”), and the Houston curator himself (“sweet sweet”). Travis has been outspoken about his love for YSL in the past. In fact, he even has a song titled “Saint Laurent Mask” on Huncho Jack, Jack Huncho, his joint project with Quavo.